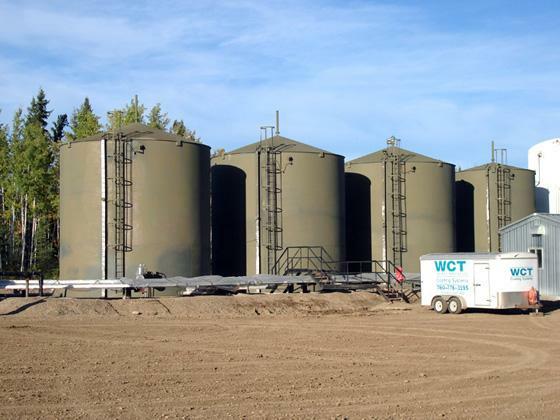 4 Tanks at a site in Red Earth, Alberta requiring recoating due to aging of the existing coating. 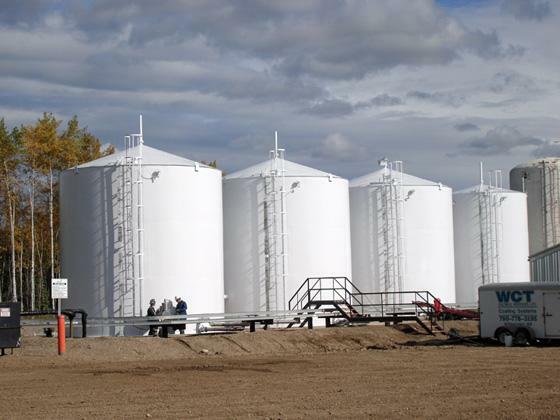 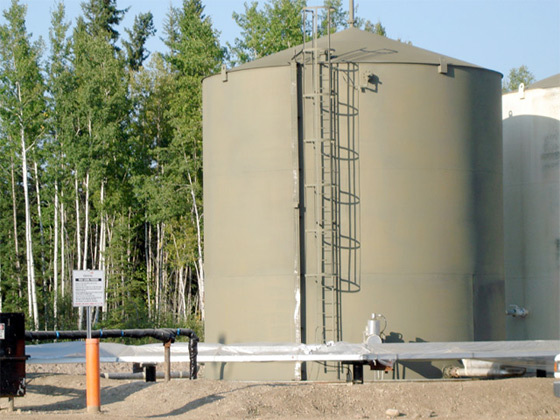 HDIM Protective Coatings was contacted to provide a suitable coating system to overcoat and update the water tank in Steinbach Manitoba. 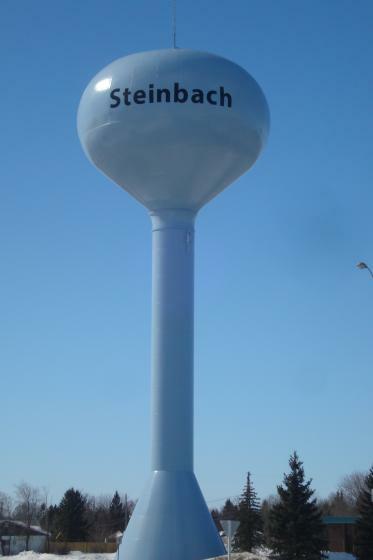 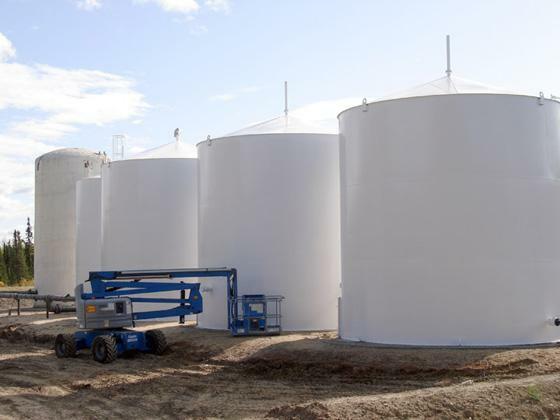 Based on the existing coating and condition of the tank, it was decided to utilize Tnemec Series 10 as a primer and Tnemec Series 82HS Silicone Alkyd as a finish. 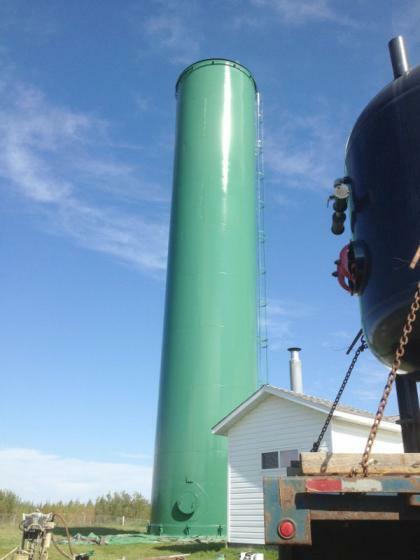 Due to age, the water tank at Gunn, Alberta was in need of recoating. 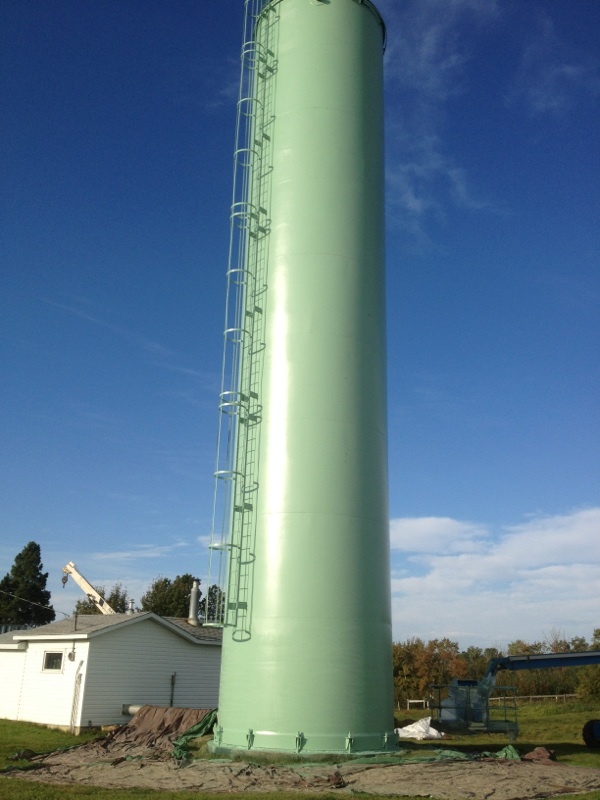 Mountain Top Insulators was the successful bidder and proceeded to perform the required work. 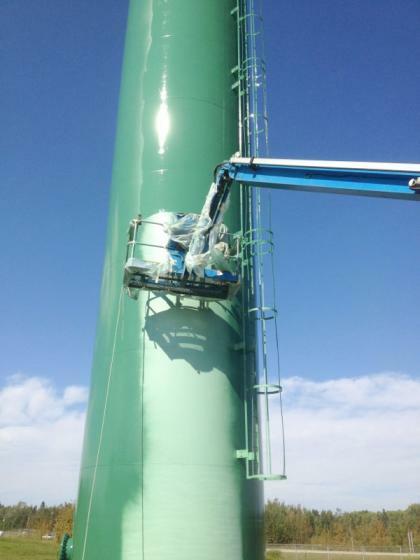 The entire surface was abrasive blasted prior to application of a prime coat of Tneme-Zinc Series 90-1K97, followed by an intermediate coat of Tnemec Hi-Build Epoxoline II Series N69 and finally a finish coat of Tnemec Endura-Shiels Series 72.